Mahjong through time and space! A giant meteor heading for Planet Earth, bringing total destruction! Only the Ancient Locket can prevent the catastrophe. Long ago it was divided into 10 parts and scattered about in different parts of the world. Set up for past with an experienced traveler Andy Brown to put parts of the relic together and postpone the doomsday. Famous Mahjong will entertain you and help to gain patience and universal knowledge. 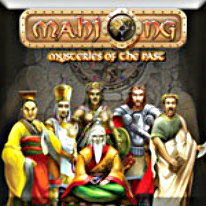 Mahjong: Mysteries of the Past...Who knew Mahjong could save the world?